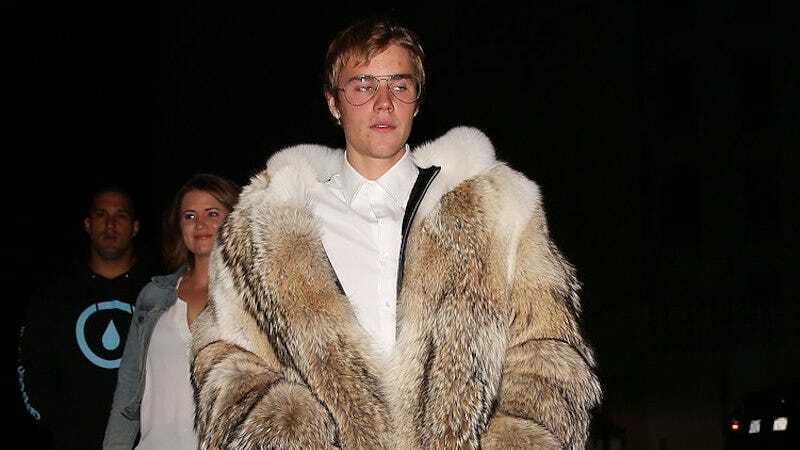 On Monday night, Justin Bieber wore a resplendent (depending on your taste) gigantic fur coat in 60-degree West Hollywood weather, paired with vintage Saved By the Bell jeans. The fur? It’s real. Ask Biebs if he cares.